We finished the harvest on Thursday (a long way ahead of last year when we didn’t even start until 28 September). Apart from a stormy spell in mid-September the weather was kind to us and all of the grapes came in wonderfully ripe and healthy. Yesterday we did our first “de-cuvage”. 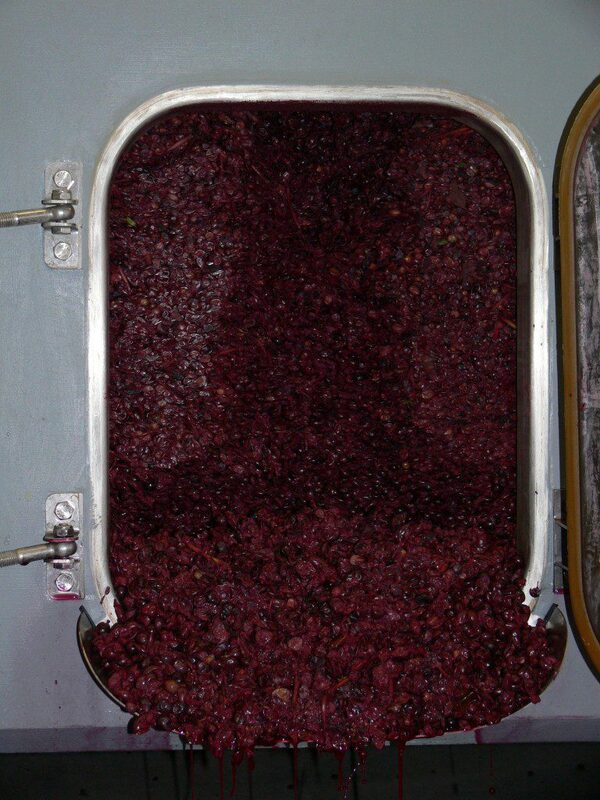 When the fermentation has finished you drain off the juice (now wine!) and then (carefully!) open the tank door. As you can see above you are then faced with a wall of skin and pips which is called “marc”. First you drag out as much as you can with a rake, pumping it to the press. Then you climb in and shovel out the rest. The press then extracts the remaining wine, but you only want to press it gently as you don’t want to extract any bitter tannins. Most of the fermentations have now finished or will do soon, so lots more de-cuvage coming up over the next few days!